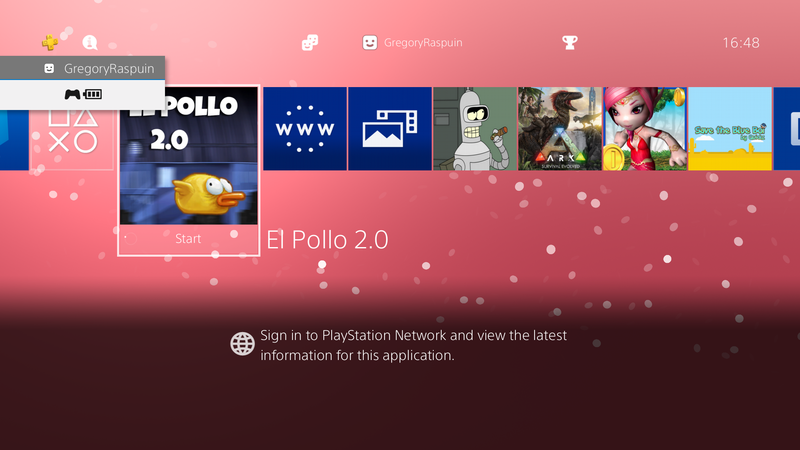 Cuban developer Lapy who in the past few weeks has released El Pollo which is a Flappy Bird clone and Save The Scene a unique homebrew that sees you saving several members of the PlayStation and Nintendo scenes from bombs dropping on them, has released a brand new game. It is a homebrew game made with Unity 2017.2.0p2 compiled as fake pkg using the RetroGamer74 tutorial (https://github.com/RetroGamer74/HowToBuildWithUnityPS4FakePKG). Also compile a version for Windows. Some images are from the RovioÂ® Angry Birds game, and the theme song is from the movie "Black Hawk Down". The controls of the game are very simple: keep pressing any button to go up and release it to go down, it works with either mouse, keyboard or gamepad. It is translated into Spanish and English. Spanish for those who have the console or Windows in Spanish, and in English for all other configurations. The game saves in both versions the highest score achieved and has an anti-cheat system.